Mission We want to make your life easier and enable your family and friends to feel healthier. Vision We know that progress requires continuous search for new solutions. It is a natural consequence of each decision we make. Therefore, we never cease to invest in new technologies which respond to the needs of contemporary consumers. UST-M is a brand for demanding customers. You can always rely on our experience and quality of our products. Central vacuum cleaners are a perfect alternative for traditional cleaners. They help you to get rid of mites and dust in a comfortable way. They are also friendly to users with allergies. To all of you who are currently building a house or modernizing it, we offer high quality parts and accessories for glued or welded systems and elements of multi-layered pipes. 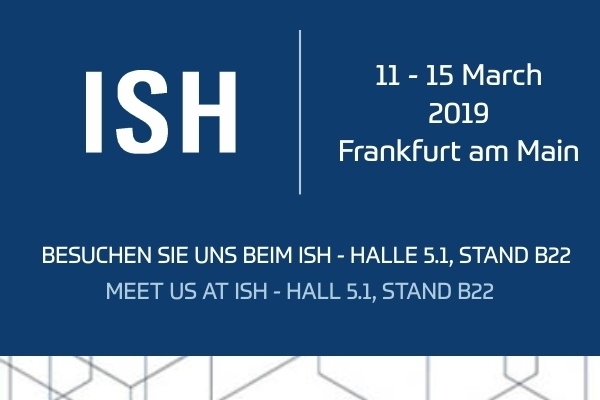 Visit us in Frankfurt/Main at Hall 5.1, Booth B22! We will be pleased to meet you and show you our latest solutions.